The Grand Opera House prides itself on offering an extensive range of premium beers, wines and spirits, many from skilled local producers who are dedicated to their craft. There is also a choice of teas, coffees and freshly made tray bakes, perfect for afternoon performances. Special offers are promoted via the digital screens in our bar area, so make sure to check the boards when you arrive and treat yourself to something a little bit special. Treat yourselves to two glasses of chilled prosecco served with a tray of luxury handcrafted sweet canapés for just £20. Available on arrival or during the interval. Must be ordered at least 48 hours before attending. Call the Grand Opera House Box Office on 028 9024 1919. 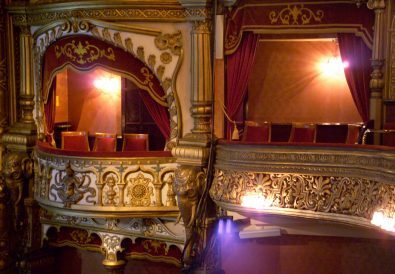 Make your visit to the Grand Opera House extra special in the comfort and privacy of a box. Rising majestically above the stalls, theses stunning, ornate boxes perfectly frame the stage, offering a private seating area dressed in opulent red velvet. Perfect for special occasions, family nights out or for entertaining, hospitality packages can also be ordered when booking box seats. 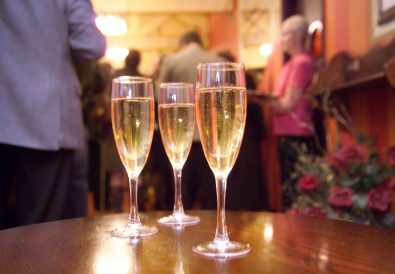 Drinks and canapés await your arrival, while show programmes and dedicated personal waiting staff complete the experience. Must be ordered at 48 hours before attending. Call the Grand Opera House Box Office on 028 9024 1919. Our bars are situated on the stalls and circle levels, and open an hour before each performance. Interval drinks can be ordered from both bars.